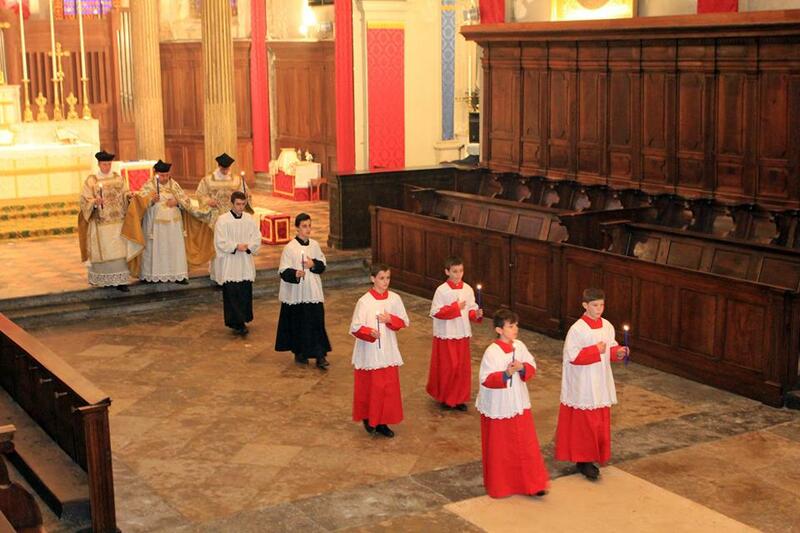 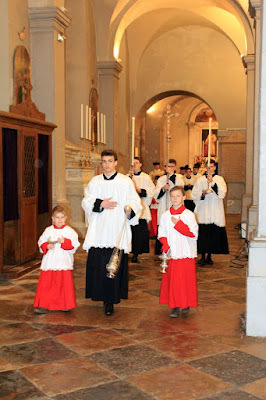 Thanks to the Fraternity of St Peter’s apostolate in Lyon, France, for permission to reproduce these photographs of their Candlemas ceremony. 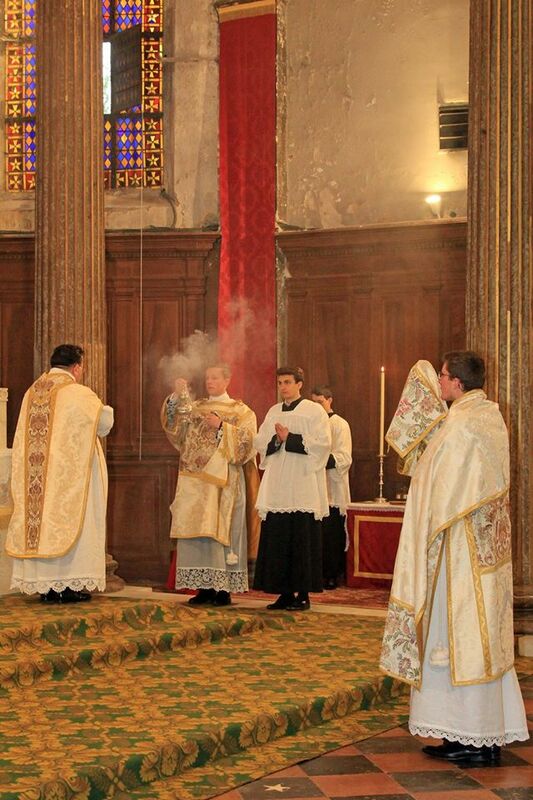 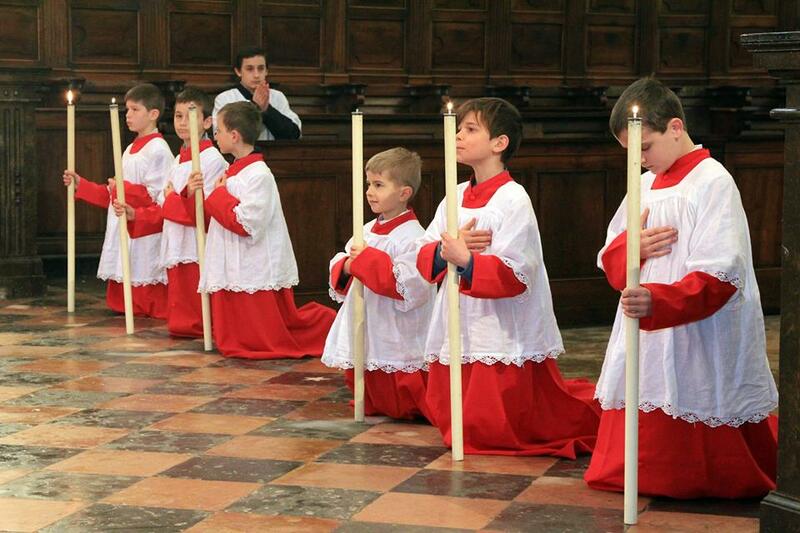 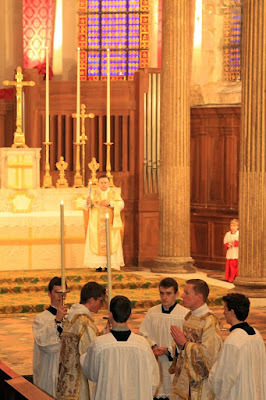 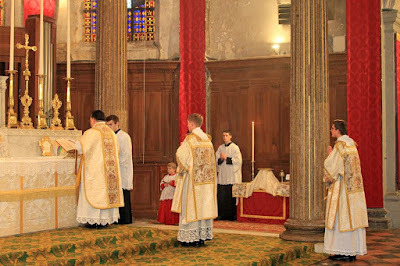 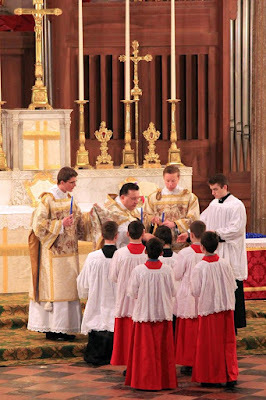 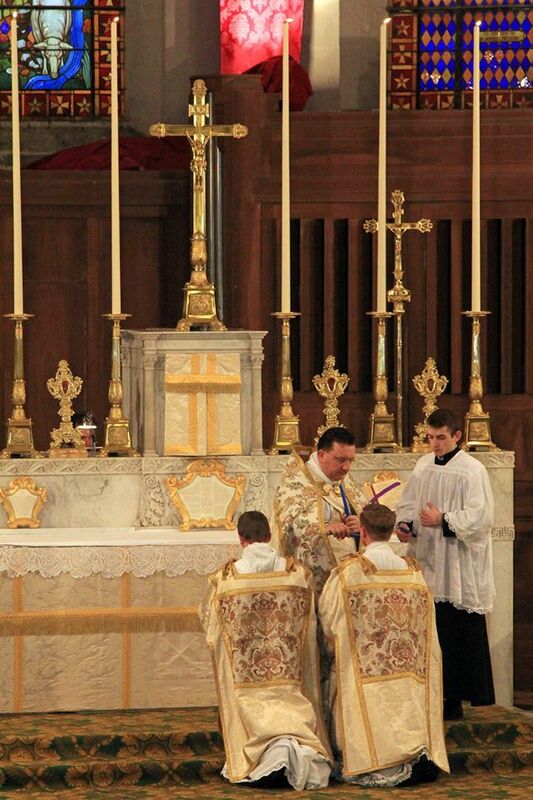 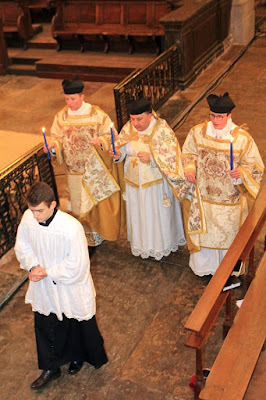 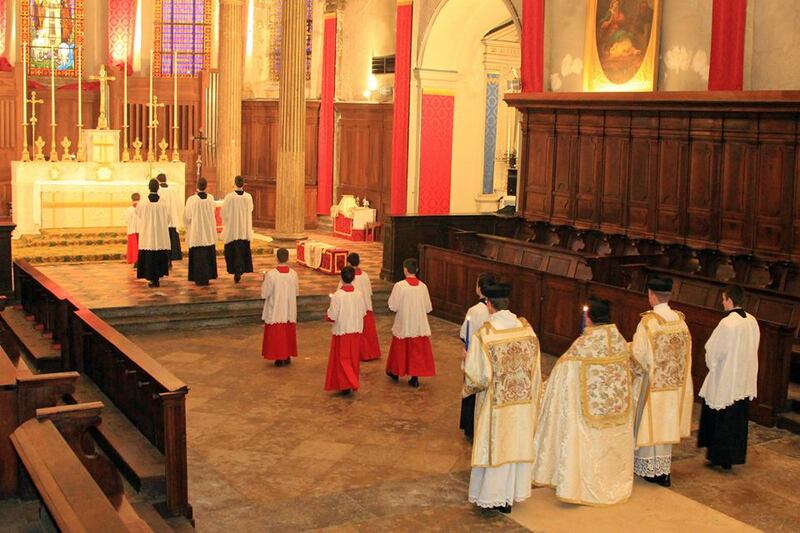 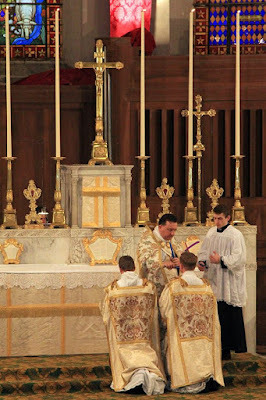 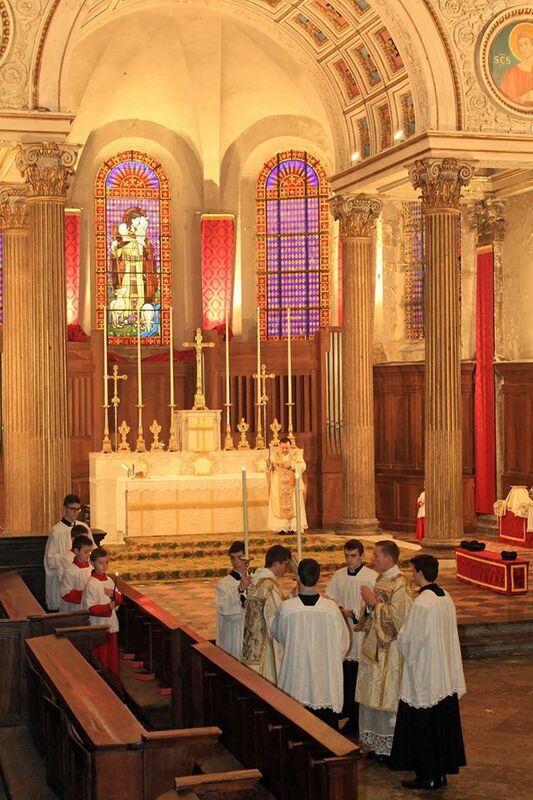 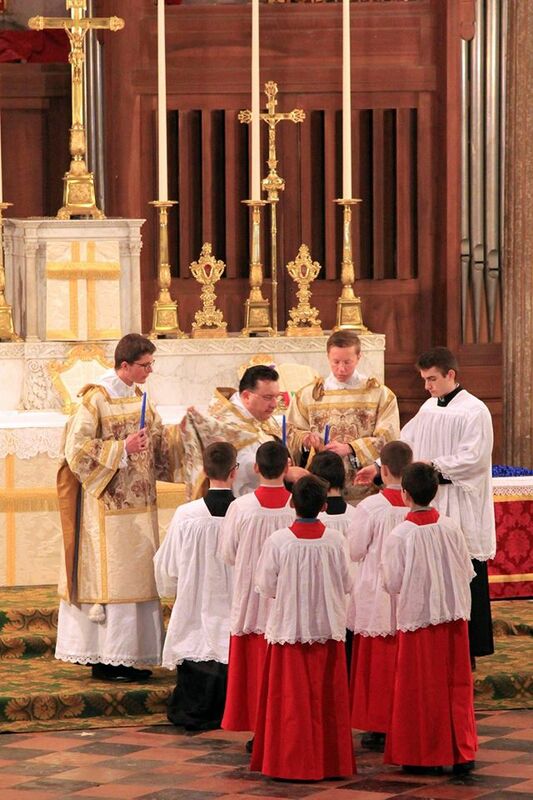 Once again, we can only be encouraged to see how young the servers are at this Mass, (not just the acolytes, but also the deacon and subdeacon) and be grateful for their efforts to preserve and promote our Catholic liturgical tradition. Merci, amis!